Fantastic evening meal on Sunday night and breakfast following morning. Food was delicious one of the best meals I have had in A very long time. Thank you. Thank you for the great review of our Restaurant. We are glad that you enjoyed your meal and your breakfast, we hope to see you again very soon. We had a lovely meal & really enjoyed It. Staff were very polite,helpful & attentive. Well priced menu. Beautiful surroundings & will definitely be back. Well worth a visit. Thank you for taking the time to share your feedback. We hope to welcome you back to our Restaurant very soon. Food was excellent as was service . Restaurant was full and after clearing our plates away. Waitress informed us dessert would be a little while. No problem for us. Thank you for the great review of our Restaurant. We are glad that you enjoyed your meal and hope to see you again very soon. Excellent quality food. Superb evening meal and breakfast. First class service in a beautiful relaxing comfortable space. So enjoyable. We had a very enjoyable family lunch here. Staff all very friendly and helpful. We will return on another occasion. Thank you for the great review of our Restaurant. We are glad that you enjoyed your family lunch and hope to see you again very soon. Had a lovely night stay. Already recommending the hotel to friends and family. Will return. Thank you for the great review of our Restaurant. We are glad that you enjoyed your meal for your special occasion and hope to see you again very soon. Service score due to long delay taking dessert order and then further long delay until dessert brought to table . Not enough staff when a wedding and another function going on at same time. Thank you for taking the time to share your feedback. While I wish you had a better service with your desserts, it is feedback like this that we learn from and use to improve. We work hard to deliver an exceptional guest experience, and it's apparent in this case that we fell short. We hope to see you again so we can assure that you receive a great experience in our restaurant, that so many of our guests have grown so fond of. Fantastic food, drink choices and service. Thoroughly enjoyed time in the restaurant. Thank you for the great review of our hotel. We are glad that you enjoyed your stay and hope to see you again very soon. We had room service the first night and a meal in the restaurant the second and both times we were very impressed with the high standard of service and the fantastic food. Thank you for making our stay even more perfect. Thank you for the lovely review of our Restaurant. We are glad that you enjoyed your meal and room service, we hope to see you again very soon. Very disappointed. Visited hotel for a relaxing break....not to be listening to the entertainment of the wedding reception in the function suite below us until 1.30am. The noise was so bad that the radiator in the room was reverberating to the beat of the music. Not a pleasant experience.. Very very disappointed. Very impressed with the hotel. 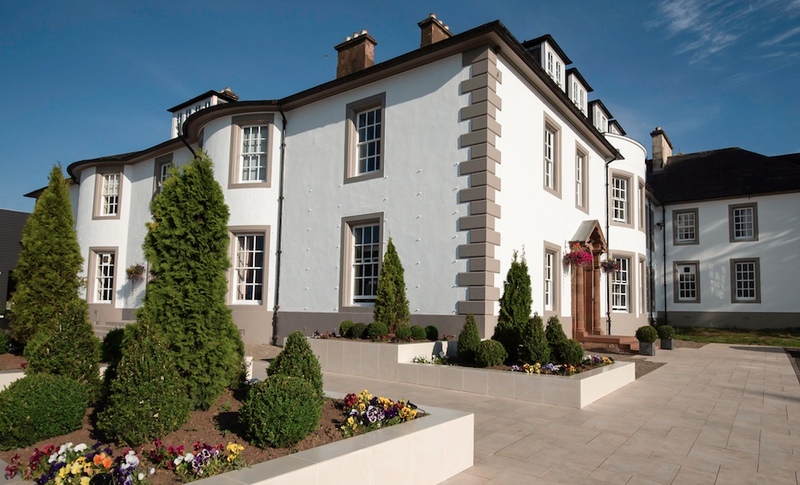 It was our first visit to Hetland Hall Hotel and we were very pleased. The food was beautiful and the service was excellent. My wife had ministrone soup which was just warm and no parmisan on site to grate on top.....was offered cheddar ??? My starter was lovely as were both our main courses. The staff were very attentive, Lounge and Dining Rooms were clean and warm, Reception area was COLD. The food was good and of good value. Our meal was delicious, particularly the beautiful crisp batter on my chicken tempura and my husband's fish. I loved the strips of fillet beef Diane, the beef was so tender and such a tasty sauce. The staff were pleasant and efficient. Will definitely be back. The service was slow, however we were not in a hurry. Three out of the four meals were good but the chicken on the fourth was dry. The restaurant is easy and relaxed and tastefully decorated as the rest of the hotel appears to be. I would certainly go back as long as I’m not in a hurry to go anywhere after. The staff were very pleasant. Thank you for taking the time to share your feedback. While I wish you had a better experience regarding our service, it is feedback like this that we learn from and use to improve. We work hard to deliver an exceptional guest experience, and it's apparent in this case that we fell short. We hope to see you again so we can assure that you receive a great experience in our restaurant that so many of our guests have grown so fond of. very enjoyable stay! will go back.